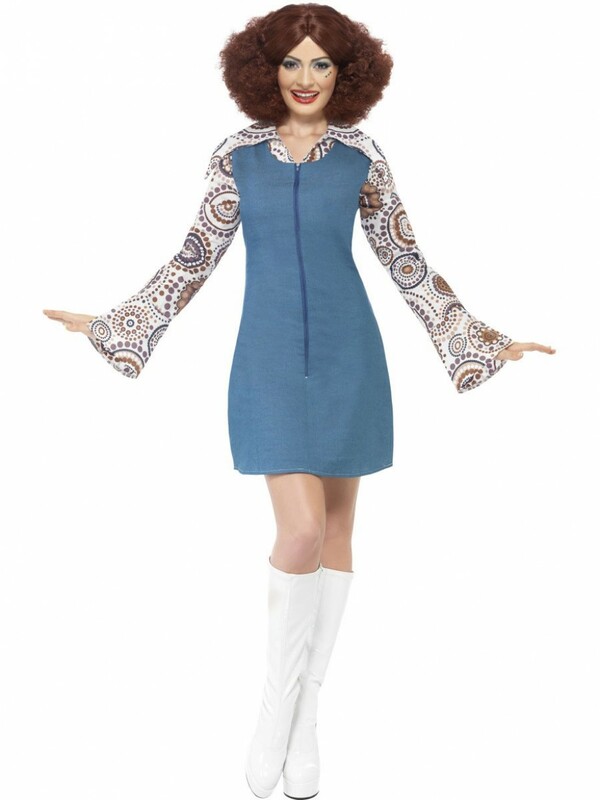 A fun costume including 70s Dress and Mock Shirt, perfect for Film/70s/Dance themed fancy dress occasions! 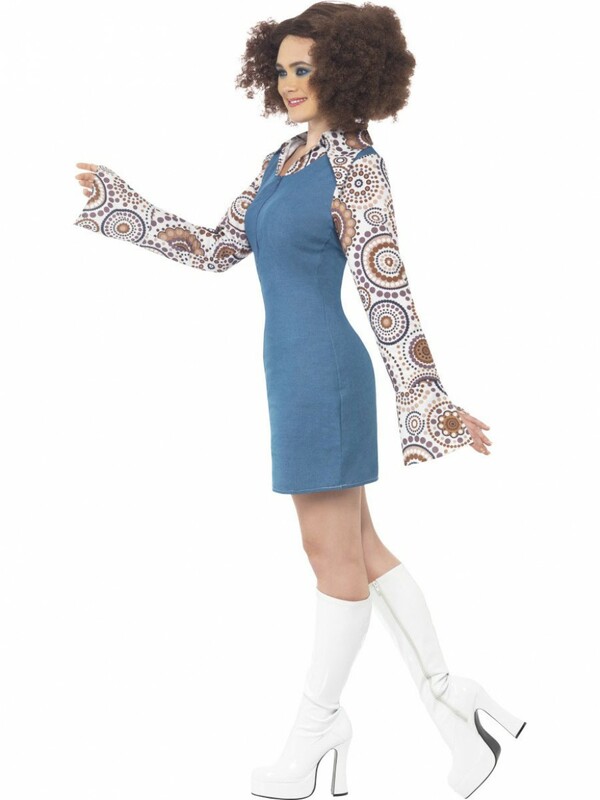 A truly groovy costume; this 70s Dress is ideal for any 70s, Dance or Decade party. The outfit includes Dress and Mock Shirt. 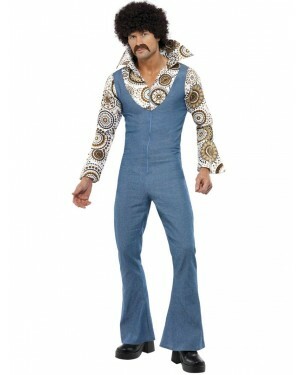 The all-in-one light blue denim dress is in a waistcoat style with a zip up the middle for easy fastening. The dress measures just above the knee and is struck in an elegant fashion. Attached to the dress is a mock shirt with a white base and printed brown floral style pattern all the way down the sleeves which are in a flared design and on the oversized collar. 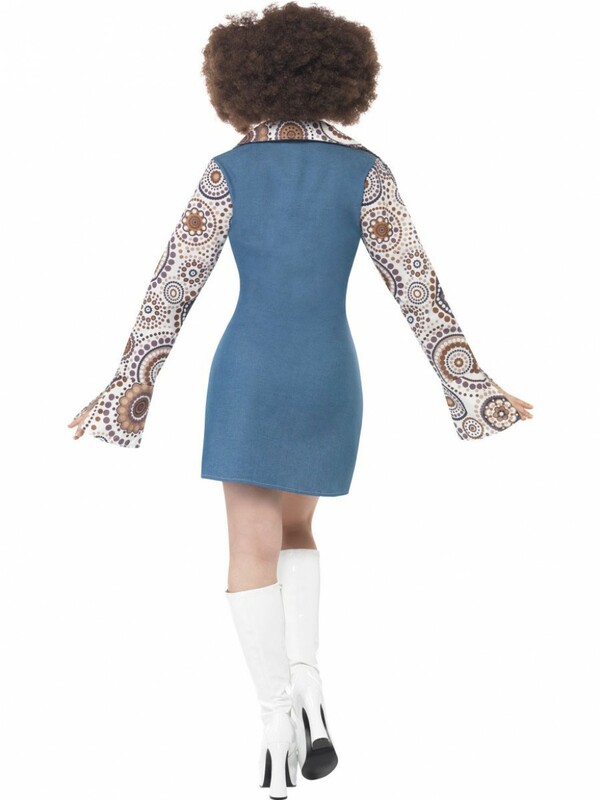 A detailed stand-out 70s Dress Outfit, the perfect choice for any Decade/Dance/Film themed fancy dress occasions!